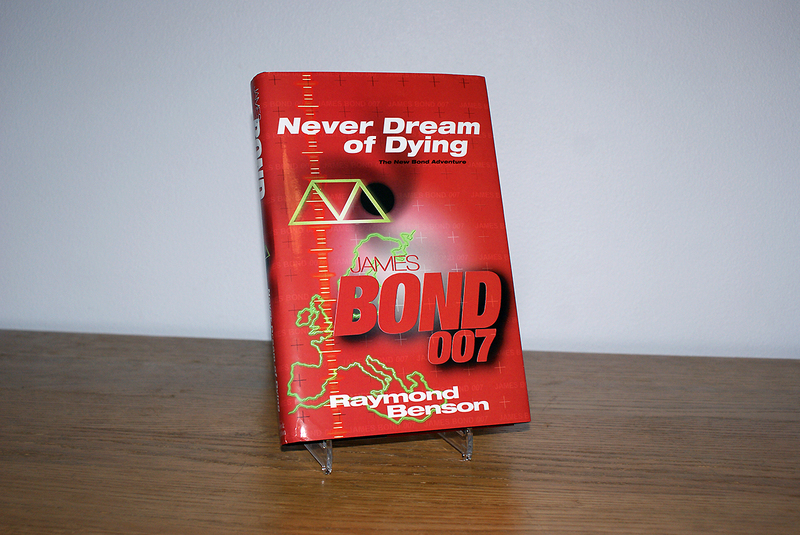 Added to my collection today is a UK first edition of Raymond Benson's James Bond novel NEVER DREAM OF DYING. 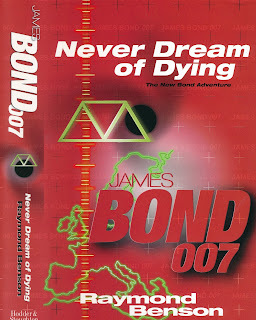 It was released in 2001 by Hodder & Stoughton and the original price was £17.99. My copy is signed by Raymond Benson and bought on Ebay for £19.50. I consider this a really great catch since the price is almost the same as when it was released and this one is actually signed by the author. During today's dinner I spoke to my wife regarding the books cover. 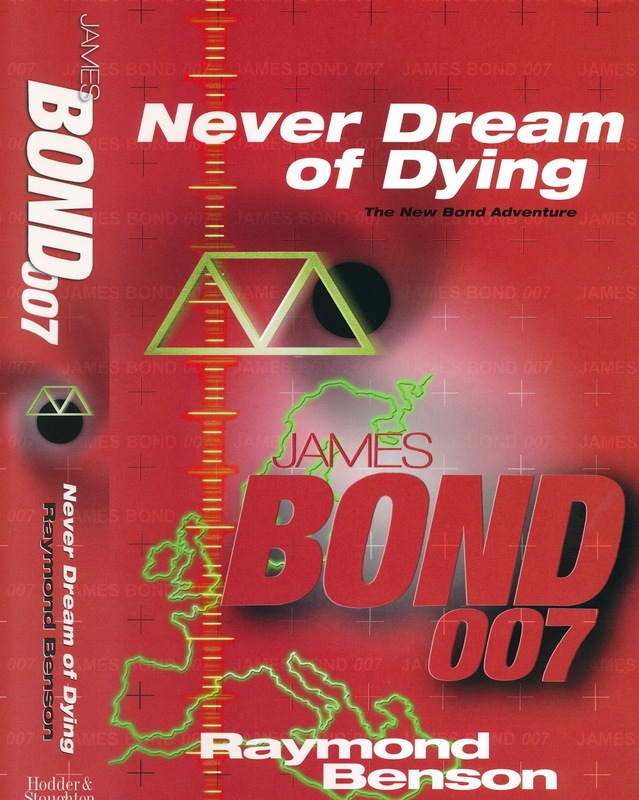 It is in my opinion one of the worst artworks for any James Bond books and I say this even when Sweden is actually in the middle of the artwork. The book looks more like a revealing book about Scientology (dont ask me why that comes to mind). Now I don't know if this book sold poorly or if there was any other reason for the estate not to give the Raymond Benson books the great cover design they deserved. I don't men any harm on Raymond Benson but I do think that these books might have gotten a wider audience if the book covers had been more intriguing. 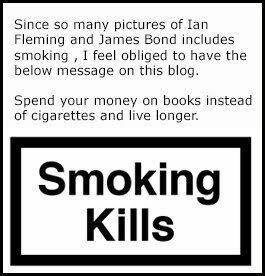 My wife that reads a lot of books said that with a cover like this she would NEVER DREAM OF READING and she has read CASINO ROYALE at least. I had to ask Raymond Benson on Twitter if he had anything to say when it comes to these covers for his books and as you can see below sadly he had not. 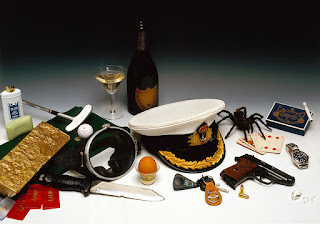 One of the first books I ever got was Benson's THE JAMES BOND BEDSIDE COMPANION and it has an excellent cover by Graham Rye. Whit that said, I do look forward to read all the Benson novels since I know that he is a true James Bond fan with lots of knowledge on the matter. Book cover photo for THE JAMES BOND BEDSIDE COMPANION.